Breastfeeding is not always easy, and sometimes people need help - that’s where we come in. Whether you feel your challenges are big or small, we can help! 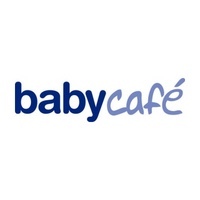 Baby Café is a place for all breastfeeding experiences, plus our staff is trained to support all infant feeding methods as well as milk expression. Baby Café Bakersfield meets inside The Nest and Company, a welcoming destination where you can get comfortable on the big couch or in the rocking chair. We have toys for your other children, space to accommodate your support person, and light refreshments for all. Our highly-trained staff of lactation care providers is here to help you explore ideas and suggestions for beginning, improving, and even creating a gentle ending to your breastfeeding experience. Wherever you are on your journey, we’ll meet you right there to help you make a plan to address any challenges, resolve any problems, and plan for the next phase of infant and toddler feeding.